Oh so lovely! 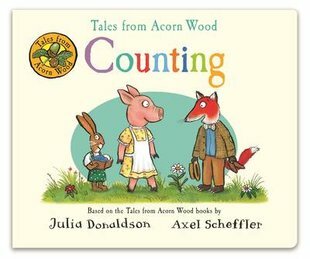 First skills in Julia and Axel’s cosy woodland world. 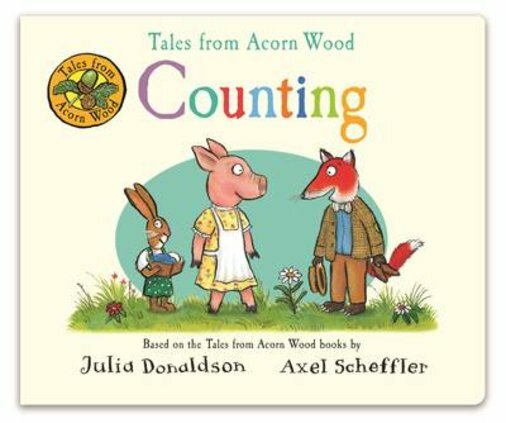 Join the cuddly Acorn Wood friends to have fun with numbers. Find two socks that Fox has lost. Count from one to ten with Postman Bear. And see how many noisy mice are waking Rabbit up! 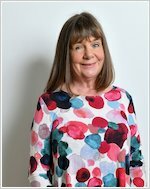 With Julia Donaldson’s cute characters shown in Axel’s adorable pictures, this is perfect first learning: warmer than a chunky knit.